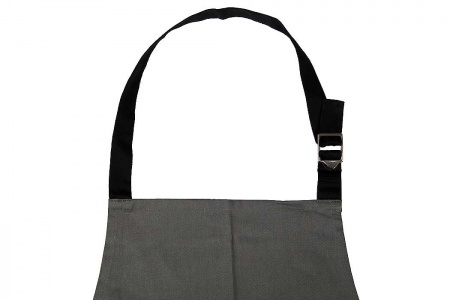 Keep clean whilst your cooking with this lovely Isabella Apron made of 100% organic cotton. 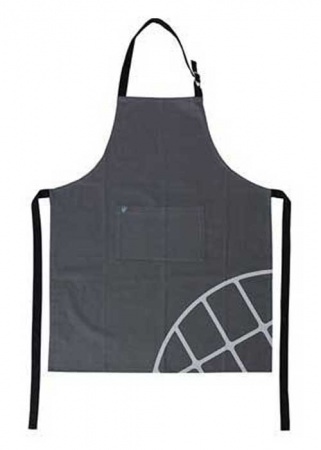 It comes in stylish dark grey with the light grey Isabella signature pattern on the lower corner. There is an adjustable neck strap and two ties to secure it. Isabella have also added a central storage pocket at the front, ideal for mobile phone and those little things you need to keep to hand. 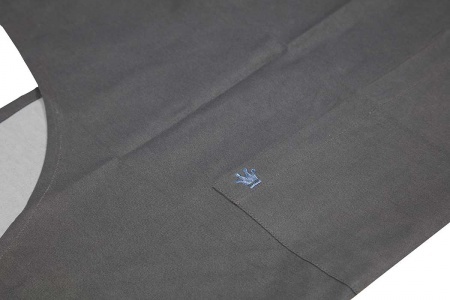 As a finishing touch there is an embroidered Isabella logo on pocket in royal blue. 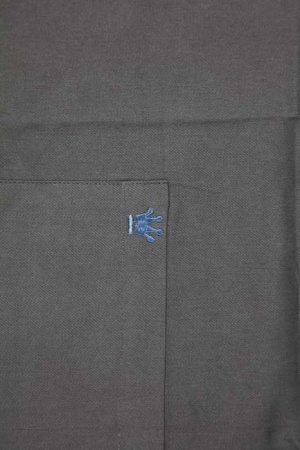 There are matching Tea Towels that can be purchased separately.